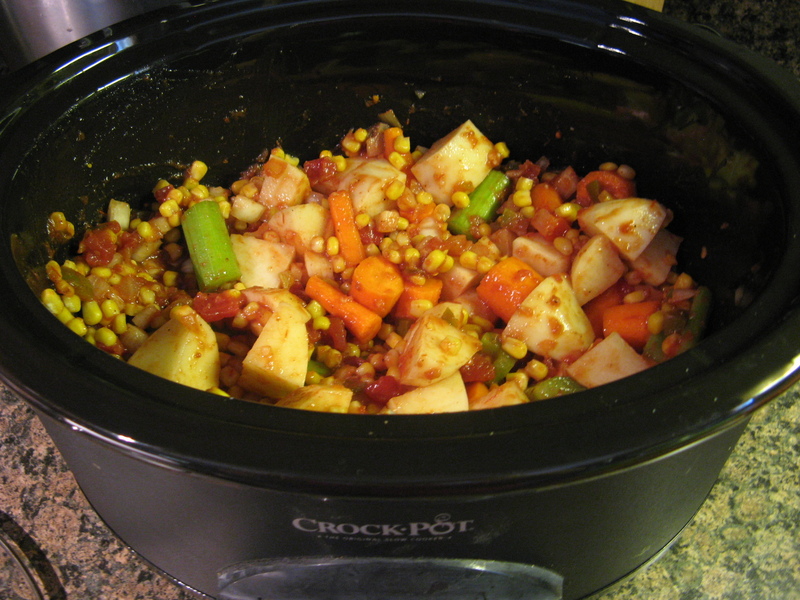 So, I personally think that one of the best things to make in a slow cooker is soup / stew. I consider them to be more or less one in the same. 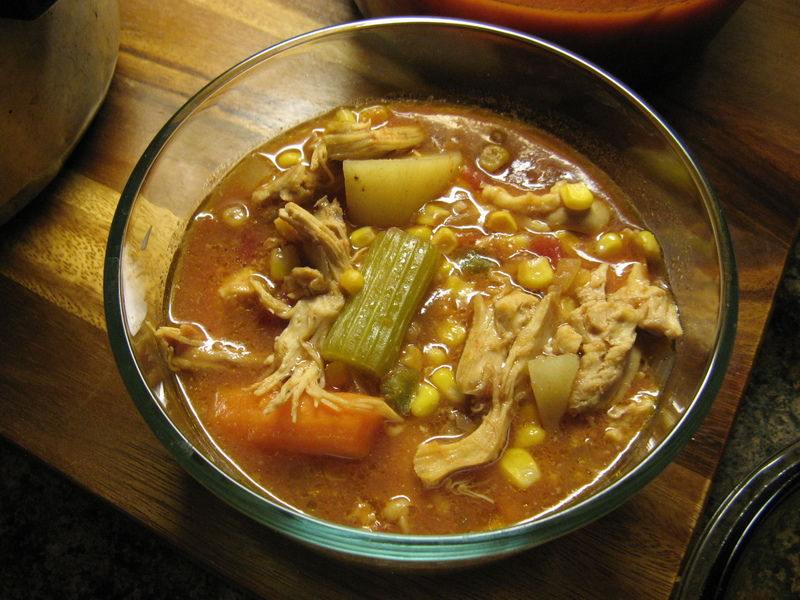 And this week I am bringing you a Spicy Mexican Chicken Stew that is the ideal Slow Cooker Meal. The only prep is some dicing, chopping and cutting. No sautéing veggies or heating the aromatics to develop the flavors. You control the level of spice with a jar of salsa. 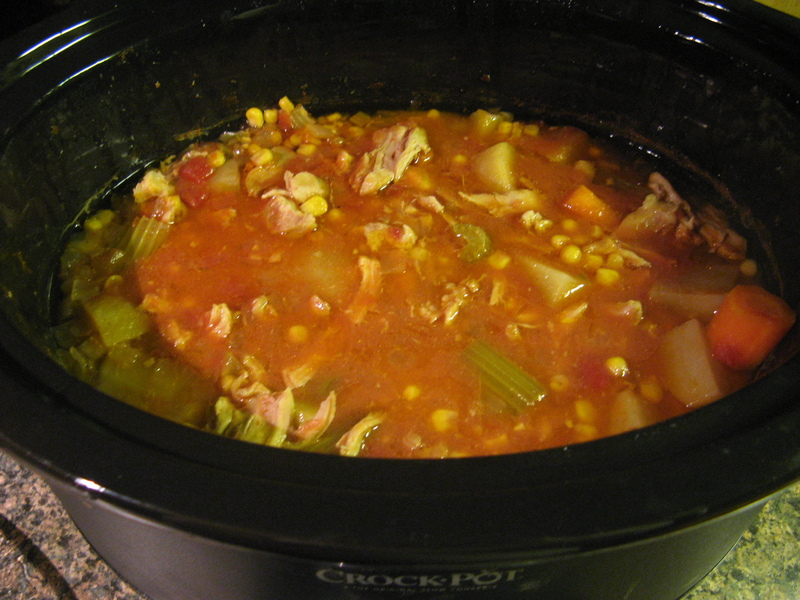 I got this recipe in the cookbook I mentioned last week… Slow Cooker Family Favorites. I’m 2 for 2 with the recipes in this book… Yay! I began by stirring together salsa, cumin, chili powder, salt and pepper in the bowl in my slow cooker. 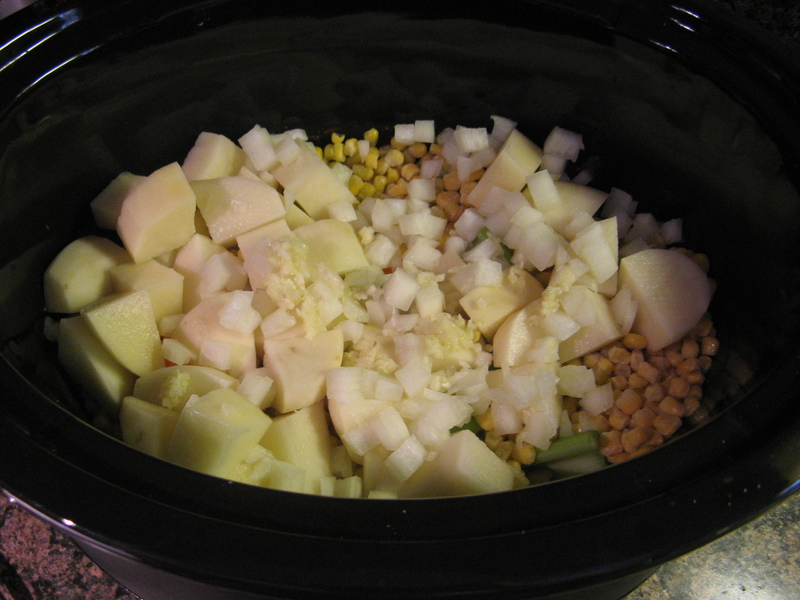 I then added in diced potatoes, frozen corn, cut celery & carrots, a diced onion and minced garlic. I gave everything a few good stirs to make sure the vegetables were coated by the salsa mixture. And finally, I placed 6 boneless skinless chicken thighs on top of the vegetables and poured in a can of chicken broth. So, according to the directions the stew was to be cooked on high for 4 hours, or until the chicken was cooked through and the vegetable were tender. 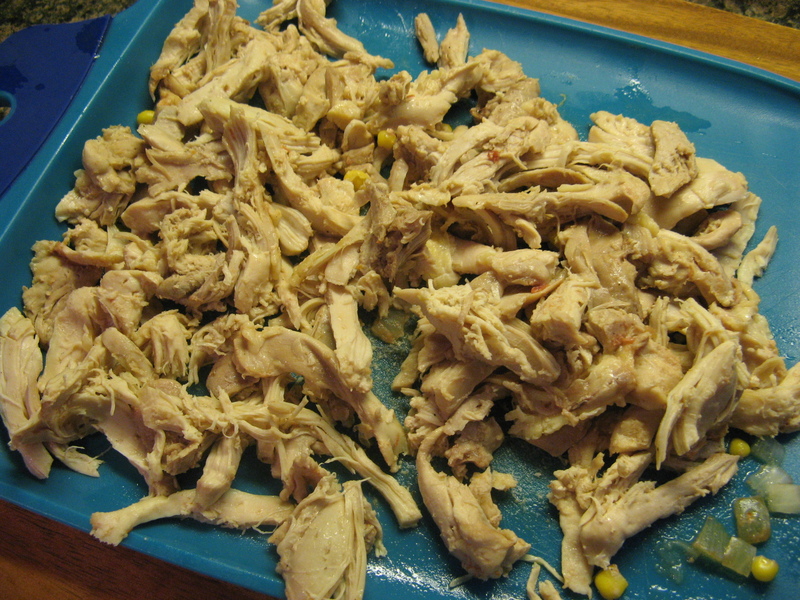 After 4 hours the chicken was cooked through, so I removed it from the slow cooker and shredded it using two forks. But, my vegetables were still a bit undercooked, so I returned the chicken to the slow cooker and cooked everything for about another 2 hours. Which I think was the best thing. The end result were vegetables that were perfectly tender, but, better yet, the chicken was really able to absorb the flavors of the stew. YUM! I packed a bowl for lunch the following day and I must say it was even better then and each subsequent day! **The package I used was 12 oz. 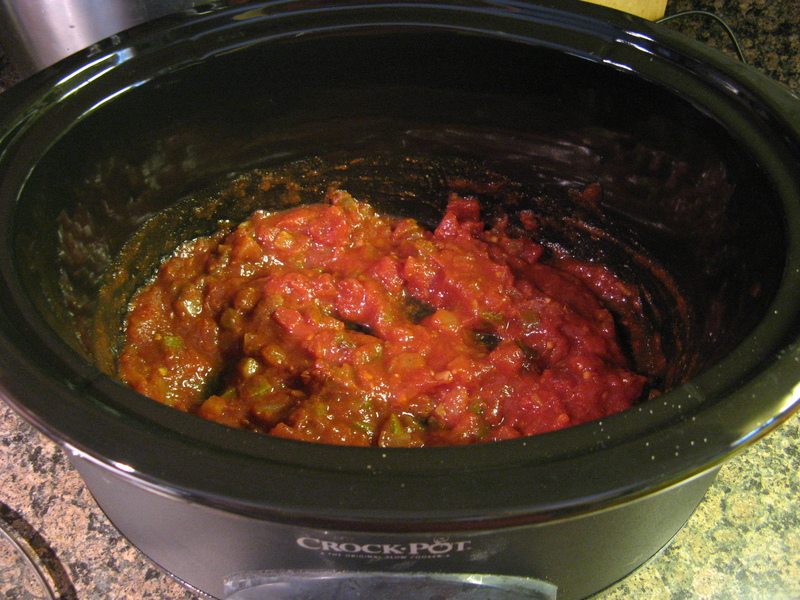 In the bowl of a slow cooker stir together the salsa, cumin, chili powder, salt and black pepper. Add the potatoes, corn, celery, carrots, onion and garlic. Toss everything to coat the vegetables. Place the chicken on top and then pour in the chicken broth. Set to cook on high for 4-6 hours, until chicken is cooked through and the vegetables are tender. 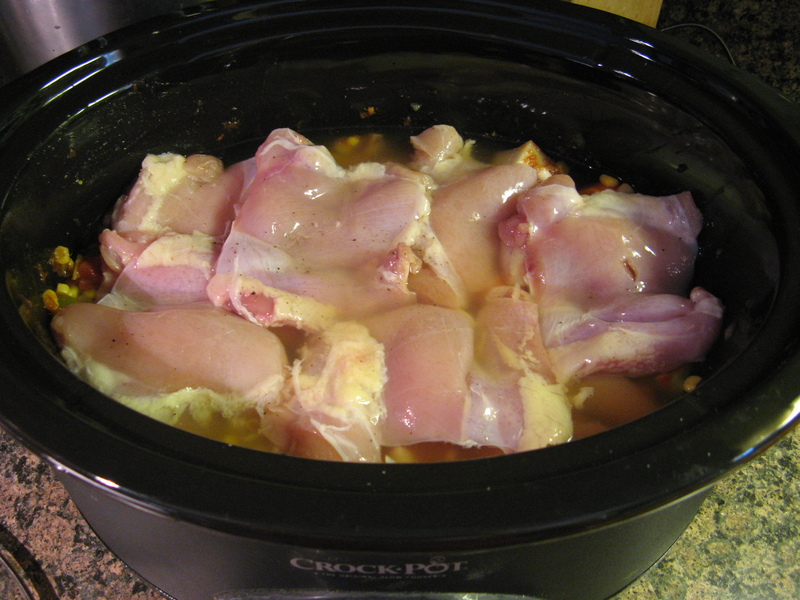 Once chicken is cooked, remove from the slow cooker and shred with two forks and return to the slow cooker. Season for taste. J’aimerais bien manger ce poulet mexicain avec cette bonne soupe qui donne appétit en ce temps d’hiver pour lutter contre le froid. Bravo pour l’excellente recette !